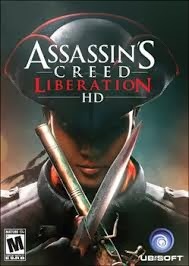 Assassin's Creed: Liberation HD is a new downloadable title for the Assassin's Creed series that was originally released for the PlayStation Vita two years ago. The new game offers a few noteworthy improvements to the smoothing of the game's textures on the big screen and improved lighting as well as a few additional sidequests, but it's nothing that will make most gamers that already played through the game on the handheld system purchase the new release. Assassin's Creed: Liberation wasn't a very good game on PlayStation Vita, and the new release does little to improve on the original title and, if anything, manages to make its flaws even more apparent while being played on the living room television set. Assassin's Creed: Liberation HD features a different storyline for the series with an interesting protagonist named Aveline de Grandpré. Aveline is the first female character to land a lead role in the Assassin's Creed series, as she battles to find meaning to her life while fighting to free her people from persecution as a woman of African-French descent during the late 1770s. The game features plenty of political battles through the streets and on the rooftops of buildings located in New Orleans, while the Assassin searches for powerful artifacts that will aid in the battle against the Templar. The storyline is pretty good, though there are few characters that will leave a lasting impression on players beyond Aveline. 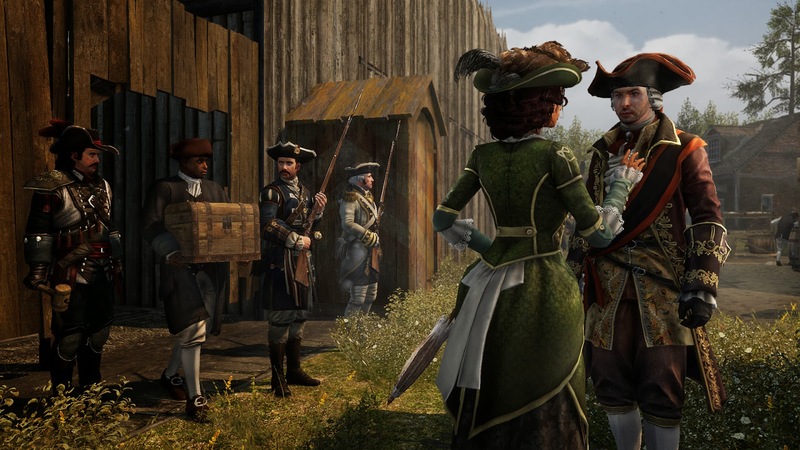 The game also does away with missions in the current timeline, and instead explains that players are simply a customer at Abstergo industries who have recently purchased a way to experience the memories of Aveline as a prologue to the campaign. The most talked about new feature in Assassin's Creed: Liberation HD would obviously be the game's graphics. While they are noticeably improved in both textures and the lighting and shading in the game, Aveline still has plenty of stiff animations, and the world is clearly not designed for a home console. Minor details included in other PlayStation 3 and Xbox 360 releases such as smooth character animations, water effects, wind and interactive objects in the environment are lost here. Assassin's Creed: Liberation HD also seems to be stretched too much on larger televisions, and is most troublesome in relation to the size of characters on the screen. Assassin's Creed: Liberation HD is easily to recognize as a handheld release ported to home consoles, and that's not a good thing. Assassin's Creed: Liberation HD also adds a few new missions and optional DLC for even more content. While some of this content is pretty fun, the majority of the game's campaign is still the boring missions players will remember from the PlayStation Vita release. These include the always annoying tail missions where players must follow close to a target without being spotted, and Assassin's Creed: Liberation HD doesn't spare players any boredom with the uninspired missions popping up regularly throughout the campaign. Other missions in Assassin's Creed: Liberation HD are just too linear and feature repeating mechanics that tend to bore more than they excite. Aveline does have a variety of tools at her disposal to take down enemies however, and this is one of the most enjoyable aspects while playing Assassin's Creed: Liberation HD. 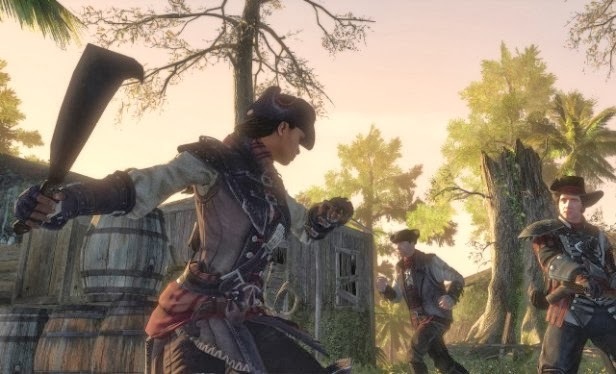 The game is an easy one, and players will rarely need to use any weapons outside of the double blades hidden inside Aveline's Assassin suit, but players that give themselves personal challenges such as only using firearms or a whip to complete missions will find some of the monotony of similar missions broken up with exciting new ways to handle the given situations. Assassin's Creed: Liberation HD wouldn't be such an easy game to complete, but enemy AI is simply put, horrible. Sometimes enemies will spot Aveline when she could clearly be out of sight, while other times she can be standing right beside a guard without being spotted. Once a player is spotted, it's often as easy as walking in a circle behind a pillar to make enemies lose interest. Enemies are also horrible at chasing after Aveline and will typically give up chase a few seconds into the encounter. Enemies also have the aim of a blind man and seem to miss even when Aveline is standing within 10 feet of these supposed guards and soldiers. Even when an Assassin's Creed game isn't very good, it's still pretty fun though. When it works, running along rooftops to explore cities, swamps and ruins is entertaining, and searching for additional loot and memories is enjoyable as well. Aveline has access to multiple outfits to change up the action even more, including high class attire that makes her vulnerable but easier to blend in with other citizens and a slave outfit that makes her blend in with other workers or while carrying boxes and performing other jobs. The nice arsenal of weapons is still one of the best features in the game, but players can unlock even more guns and melee weapons later in the game that can be used to chain kills and create other cool assassinations. Players will notice that Assassin's Creed: Liberation HD doesn't control nearly as well as other console releases in the series. Aveline often climbs in areas where the player doesn't intend or will get stuck on a wall or ledge while attempting to make a jump. The game doesn't do as good of a job at making clear what can and can't be climbed as well, likely due to the poorer graphics quality. The game does have a great soundtrack that translates well with the improved sound design, though the voice acting featured in the game remains a glaring weak spot. 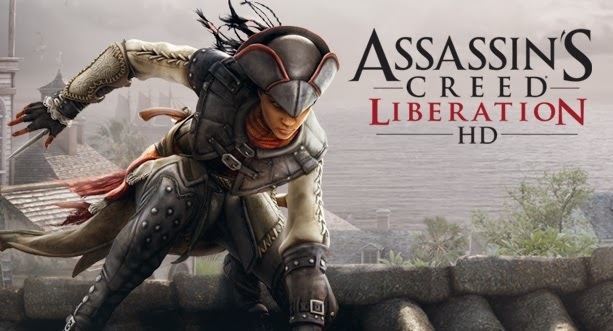 Assassin's Creed: Liberation HD is definitely not the best in the series, and likely the worst, but many players will be able to look past that to enjoy another storyline in one of the best franchises of this generation. The game is far from perfect and placing the game on home televisions with improved graphics doesn't do it any favors. The game isn't altogether terrible or great but is a mediocre release at a pretty steep price of $19.99. Considering how many other fantastic games are in the Assassin's Creed series, and most can be purchased for cheaper than what Assassin's Creed: Liberation HD costs, players may be better off revisiting other releases in the franchise before investing in Assassin's Creed: Liberation HD. Assassin's Creed: Liberation HD is now available for PlayStation Network, Xbox LIVE Arcade and Steam and can be purchased for $19.99. Assassin's Creed: Liberation HD is rated M by the ESRB for Blood, Sexual Themes, Strong Language, Use of Alcohol & Violence. For more information on the game, check out the official Assassin's Creed: Liberation HD website.